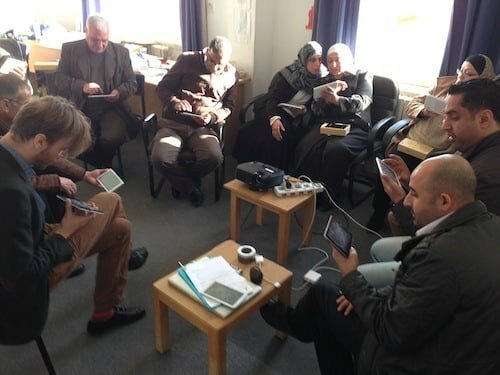 Last week, the Perspectivity E-teacher Training team was on site at Irbid University in Jordan. The 5-day program was quite disturbed by an unprecedented heavy snowstorm, which put the country to a halt. However, when we finally managed to get the whole group together, they were very keen on learning everything about new opportunities E-teaching has to offer. The shared timeline about events that influenced the classroom in Jordan, revealed that many of the professors were looking for new ways to motivate their students. They were all eager to learn more about the ‘Flipped Classroom’, which tapes (part of) the lectures on video to watch at home, thus creating more room for group work and individual coaching in the classroom.